Father Arthur Kennedy, current rector of St. John’s Seminary in Brighton, Mass., and a longtime professor at the University of St. Thomas in St. Paul, was named an auxiliary bishop of the Archdiocese of Boston, along with Father Peter J. Uglietto, rector of Blessed John XXIII National Seminary in Weston, Mass. Msgr. Jean-Francois Lantheaume, charge d’affaires at the apostolic nunciature in Washington, announced the appointments by Pope Benedict XVI on June 30, after Boston Auxiliary Bishop Emilio Allue, 75, resigned. For almost 33 years, Bishop-elect Kennedy served in various faculty positions at the University of St. Thomas. He was director of the master of arts in theology program at the St. Paul Seminary between 1993 and 1998. He also worked as director of the ecumenical and interreligious office in the Archdiocese of St. Paul and Minneapolis from 1985 to 2000. Born in Boston Jan. 9, 1942, and ordained a priest of the Archdiocese of Boston on Dec. 17, 1966, in St. Peter’s Basilica at the Vatican, then-Father Kennedy held various parish posts before earning a doctorate in theology from Boston University in 1978. 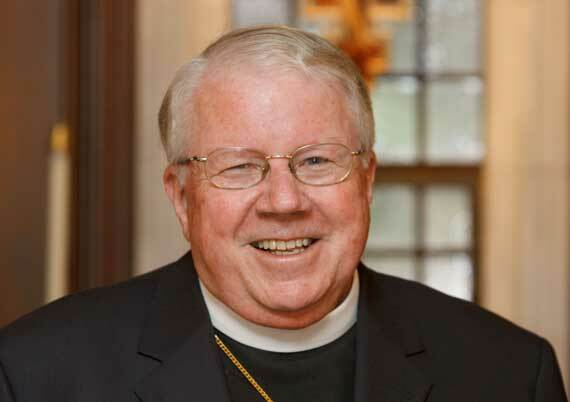 Bishop-elect Kennedy also served on the faculty of the now-closed St. John Seminary College (2000-2001) and the Pontifical University of St. Thomas Aquinas in Rome (2000 and 2007) and headed the U.S. bishops’ ecumenical and interreligious office from 2002 to 2005. “Pope Benedict’s love of Christ and his church, and his careful attention to the faithful commitments of priests in all such rebuilding, stands as an example for us all,” he added. Bishop-elect Kennedy will continue to serve as rector of St. John’s Seminary for a year until Cardinal O’Malley chooses his successor. Since he took the post in July 2007, the size of the seminary community has quadrupled from 20 to 80 for the incoming fall 2010 class. When the cardinal ordains them to the episcopacy Sept. 14 at the Cathedral of the Holy Cross in Boston, they will join three other auxiliary bishops active in the archdiocese, which includes nearly 2 million Catholics. In addition to Bishop Allue, two other Boston auxiliary bishops are retired. Bishop Allue had been one of 27 active Hispanic bishops and was the first Salesian to serve as a bishop in the United States.